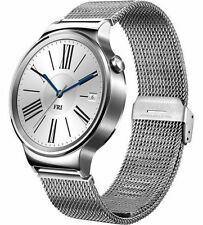 With a rectangular screen, it has a sleek modern watch design as well as a clear display. (only for Android phone). Phone calls reminding Ring and vibration remind;. Dial, hands-free, phone records, phone book;. These sticker dots cover the Digital Crown and provide a flash of colour to match. This will also fit the Apple Watch 3 to cover the Digital Crown suitable for Apple watch series 1 & 2. Each set contains 4 dots. 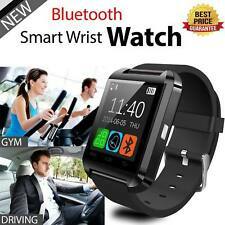 This Bluetooth enabled watch is compatible with all android devices (2.3 or above). 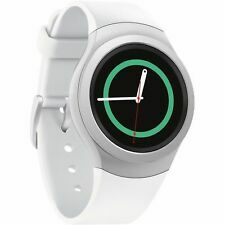 All you need to do is connect the watch to your phone via Bluetooth. For ANDROID it will support all functions. Bluetooth Version: Bluetooth V3.0 EDR. Stainless Steel with Black Leather Strap.Fully working used Apple Watch Series 1. Great condition with very minor surface scratches from general wear. Also has one original black sports strap. Apple Watch-. Had very little use / Screen and strap are both condition as new. Apple iWatch (Series 1) 42mm Stainless Steel Case & Stainless Steel Link Strap (spare links in box) with Butterfly Closure. Condition is Used. There are a few minor scratches on the screen but the watch is otherwise in fully working order. Condition is Used. Plus a couple of links so that you can add a normal watch strap. Good condition. Never had any faults. Has 3 small scratches/dings on the case that can be seen in pics. I didn’t notice them until I went to list it. Doesn’t come with original strap. Comes with leopard print silicone strap (not apple) And usb watch charger (no plug). Any questions please ask. I'm selling my Apple Watch which I've owned since new. I no longer own an iPhone so I have no need for this watch anymore. It's in perfect working order and is generally in great condition, however as you can see in the pics the screen coating has worn away on one edge. This is totally superficial and doesn't affect the functionality of the watch in any way, and it's not that noticeable unless you are looking at it close-up. The original box is included as well as the charging cable and wall plug. May include 3rd party wristband. Refurbished Watch in Good condition. Apple Watch Series 1 42mm Gold Aluminum Case Black Sport Band . Good condition, comes with a charging lead.. no box, please message me if you have any questions. An Apple series 1 watch in perfect working order. Condition is Used. dont miss out on this lovely watch no reserve. Apple Watch, Series 7000 42mm for sale in space grey. Apple Watch Series 1 38mm Silver. Condition is Used. Dispatched with Royal Mail 1st Class. •Apple Watch Series 1 38mm Silver •Not used much. •Few light scratches on the screen. •Comes with sports straps in images, and charging USB lead. •Works perfectly. •Sold as seen. 38mm size. Apple Watch Series 1. Rose Gold in colour. However the watch is still in very good condition and works fine and has been looked after and only being sold due to getting a recent upgrade. Apple Watch Sport 42mm - 7000 Series - Space Grey Aluminium. Condition is Used and has a slight scratch in the top lh corner that isn’t noticeable when on. Some light surface scratches and general wear and tear but please view all photographs to satisfy with regards condition. any questions please get in touch. Dispatched with Royal Mail Signed For® 2nd Class. Apple iWatch Series 1 - Fully Working M/L 44mm - M/L size Fully working however there is a scratch on the screen I am clearing out my wardrobe so please check out my other listings. Happy to ship internationally. Please contact me first for a price. Apple Watch Sport Band 42mm - Space Grey. Condition is Used. 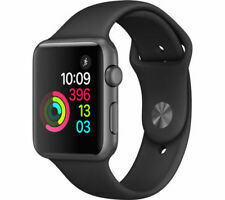 Apple Watch Series 7000 42mm Space Grey Aluminium Case Black Sport Band. Condition is Used. In excellent condition with no scratches on face or back of watch. Apple Watch Series 1 38mm Space Grey Aluminium Case Black Sport Band. Comes with charger and two extra bands (not official Apple ones) No marks on glass. 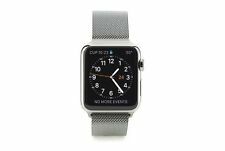 Apple Watch Series 1 38mm Space Grey Aluminium Case Black Sport Band. . Condition is Used. Dispatched with Royal Mail 1st Class. 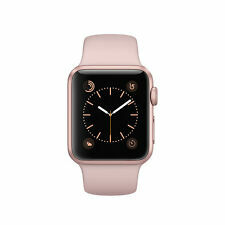 This is an official Apple Watch Series 1 42mm Case in Rose Gold Aluminum with a Pink Sand Sport Band. Includes: Apple Watch, watch band (plus extras as noted) and Apple Watch Magnetic Charging Cable. Apple Watch Series 1 42mm Silver Aluminium Case White Sport Strap Band. Watch has been rarely used so in excellent condition. Stainless Steel Sports Black Edition | Item in perfect original condition | Comes with all original luxury packaging and UK charger plug and wire included | Perfect as a gift to a tech lover | Postage and packaging within 3 days of purchase. 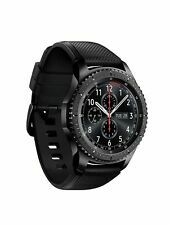 Apple Watch Sport 42mm Aluminium Case Black Sport Band-(MJ3T2B/A)- (Immaculate). Condition is Used. Dispatched with Royal Mail 1st Class. Apple Watch Space Black Original 1st generation Stainless steel, ceramic and saphire glass. 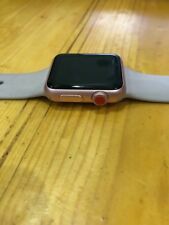 42mm Perfect condition as photos show Perfect working order Various bands/straps as in photos Apple charging cable, plug and box Condition is Used. Dispatched with Royal Mail 1st Class. Condition is Used. This DOES NOT include the Milanese band as I kept that for my new watch. Condition is Used. Serial number. Apple Watch Series 1 Stainless Steel 38mm. Used but in good condition - no serious cracks or damage, some slight tarnishing to screen edge as shown but not noticeable when in use. Plus two sports bands in Lavender and Coral, and charger cable. With a rectangular screen, it has a sleek modern watch design as well as a clear display. 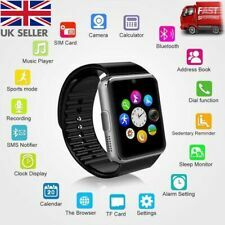 1x GT08 Smart Watch. High quality stylish design. Ultrasonic sound cavity closed aluminum film, listen to the sounds of nature. 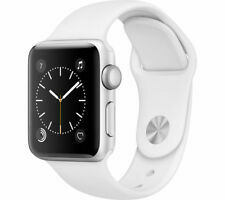 apple watch sport 42mm series 1. Condition is Used. Dispatched with Royal Mail 1st Class. Watch is in perfect working order but fairly worn cosmetically. Screen and surround have scratches. I’ve tried to show this as best as I can in pictures. Screen is perfectly clear when lit and watch 100% functional. Apple Watch Sport Band 42mm - Space Grey. Condition is Used. Dispatched with Royal Mail Signed For® 2nd Class. Good condition with box and and hard insert box plus short and long straps and charge cable Scuffs on the back of the watch as seen in picture but otherwise works perfectly. 42mm apple watch, series 1. 316L Stainless Steel. Sapphire crystal retina display. Ceramic black. Leather loop medium. Magnetic closure. In excellent condition and been well looked after. Never slept with watch on and always switched off at night & has very good battery life. Comes with original packaging and is in full perfect working order. Have a spare strap as the original leather has signs of wear. Am selling as have moved away from apple products. Comes from smoke and pet free home.